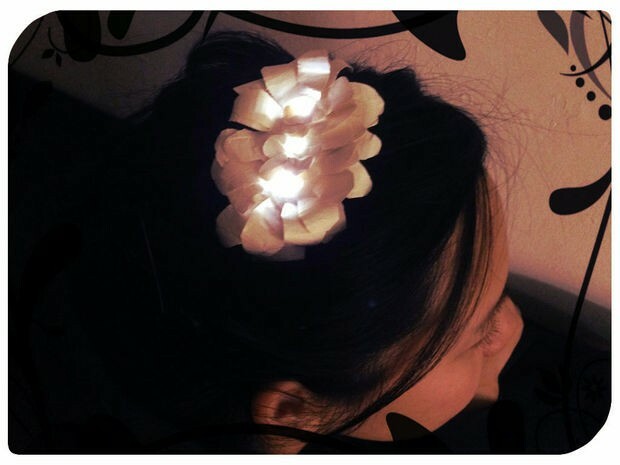 Chibi Chic LED Headband #WearableWednesday « Adafruit Industries – Makers, hackers, artists, designers and engineers! Many projects have their start with one good question, “Wouldn’t if be cool if x could do x?” This was just the case at Taipei Hackerspace, where a member and young girl worked together to make something that would be pretty, but also practical for walking or riding at night. What they came up with was a glow-in-the-dark headband using Chibitronics, those fun stickers that allow you to create circuits. Make sure to check out their build on Instructables. 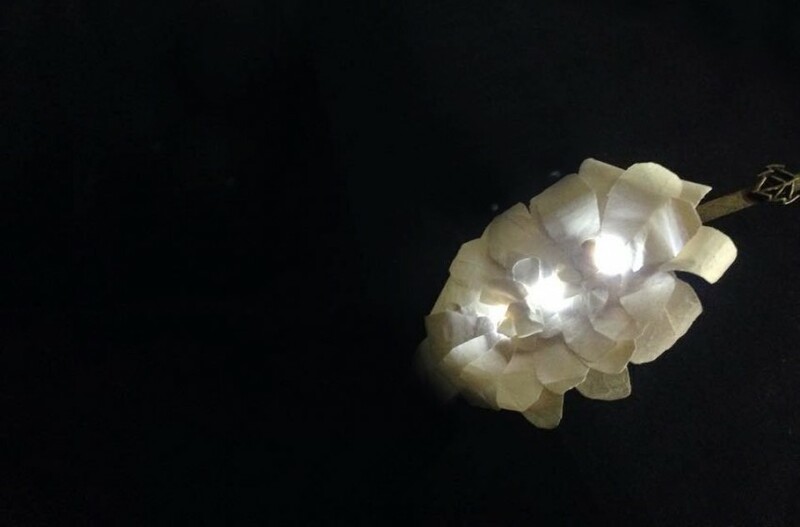 They first constructed a circuit with folded paper pieces and incorporated the Chibi stickers, cutting away openings for the LEDs to peek through. 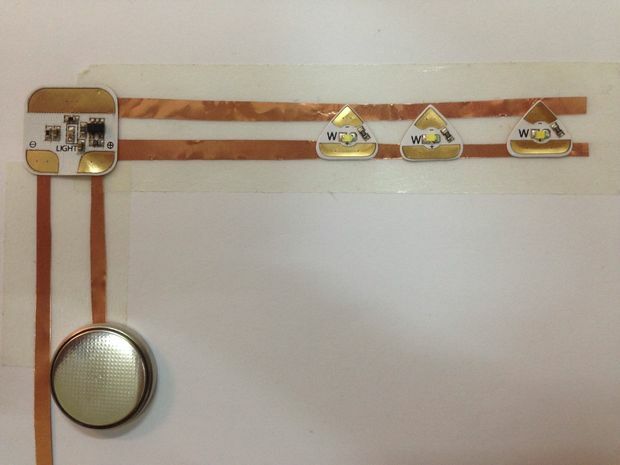 Then, they added a light sensor, so the headband would be activated at night. When the circuit was complete, they worked carefully to attach it to the metal headband, making sure all the stickers were in place. Then, they cut out paper petals and gently curled them to give the appearance of real flowers. This seems like such a small thing, but it really brings the headband to life, and from the photo, you would never guess they are paper! Of course, the best part is testing the LEDs. So, here’s the girl sporting her new fancy headpiece. Now she can keep her hair pulled back and her friends at the hackerspace won’t worry about her riding her bike at night. I’m sure you all have nieces and nephews that would enjoy an intro to electronics where they get to finish their project in a few hours. 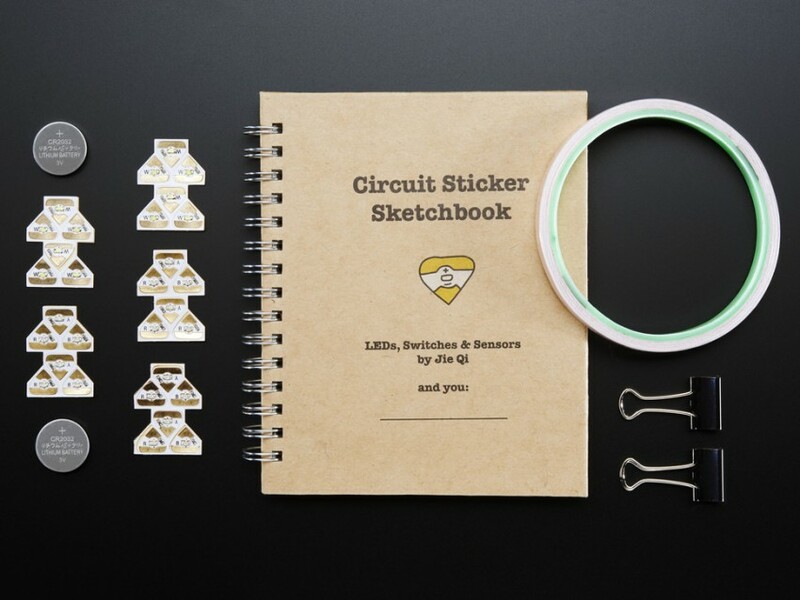 It just so happens we have the fun Chibitronic Starter Kit. So, start thinking about the fun projects you might make, whether it’s paper wearables, cardboard rocket ships, or LED graffiti. I know I’ve had fun having girls make their own journal covers–the stickers look great combined with mixed media. Have fun and get your LEDs on!